Whenever someone is sued in a court of law, the law requires they be provided notification of it. Unless this service of process can be shown, the lawsuit may not be deemed valid. 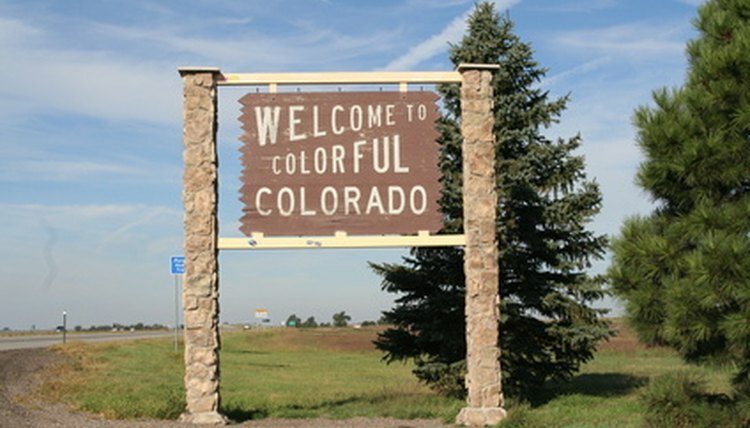 Like other states, Colorado has specific laws governing service of process. Colorado summons must contain specific information. Any summons must be directed toward the defendant (the person being sued) and must contain the names of the parties, the county in which the lawsuit is brought, the time of the required court appearance, a copy of the complaint and notice that failing to appear may result in a default judgment being entered by the court. If the summons is served through publication, it must also include the amount of money in question. Colorado law allows for personal process service, the delivery of the summons and lawsuit in person. If the person being served is over the age of 18, process can be served by personal delivery, delivery to his appointed agent, by leaving a copy with someone at his home or place of business and, if at his place of business, it can be his secretary, bookkeeper, manager or chief clerk. If the person is between 13 and 18 years old, a copy of the summons must also be sent to his parent, guardian or to any person in whose care the child may be. The state of Colorado allows anyone over the age of 18 to personally serve process, as long as they are not a party to the action in questions. No license or certification is needed to serve process. The law also allows for the sheriff's office to serve process if requested by the filing party. Service of process can be effected on parties in and outside the state. Colorado also allows for process serving by means other than personal delivery. If the party attempting service wants to serve by mail or publication, she must file a motion with the court stating her desire to do this. She must state the relevant facts, show any effort made to serve process by personal delivery and give any known address of any of the parties she is attempting to serve. This can be done ex parte (without the opposing party's attorneys being present) and, if the court finds sufficient evidence to do so, it may order process to be served through certified mail sent by the clerk of the court, or by publication in a newspaper in the county where the action is pending. Thorne, Roger. "Process Server Laws in Colorado." , https://legalbeagle.com/6053840-process-server-laws-colorado.html. Accessed 20 April 2019.